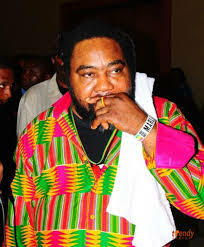 Ras Kimono to be honoured with three tribute concerts – Royal Times of Nigeria. Three tribute concerts will be organised in honour of Okeleke Elumelu, the late Nigerian musician better known as Ras Kimono. The ‘Rhumba Stylee’ singer died on June 10 at a hospital in Lagos. Theophilus Ehizibue, on behalf of the late singer’s family, has announced the series of events leading up to his funeral. On Friday, the seventeenth of August, a social wake-keep will be held at his residence in Magodo, Lagos from 8pm till dawn. The first of the tribute concerts will be hosted by Premier Music at Freedom Park on Monday, August 20. The Association of Music Band Organisation of Nigeria (AMBON) will host another tribute concert at Freedom Park on Tuesday, August 21. Subsequently, on Wednesday, August 22, the Copyright Society of Nigeria (COSON) will host the final tribute night at COSON house, Ikeja.